Single parents have a lot going on. Not only are they raising the next generation to be strong, unique individuals, but they are working, organising, trying to be present in their kid's lives while also living theirs. Ideally, a single parent would like to cultivate their own life, alongside that of their children. One of the best ways to enable that is a perfectly designed home, suitable for your lifestyle - both how it is and how you want it to be. 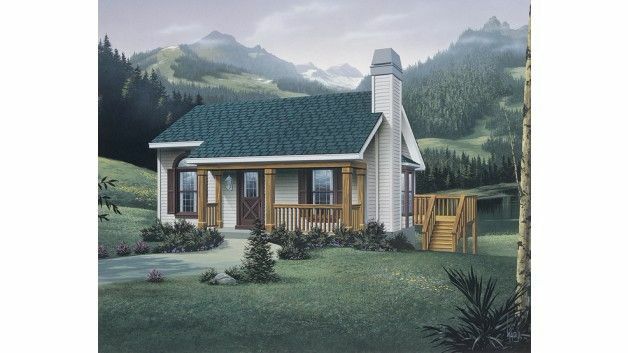 A delightful bungalow from Eplans, measuring in at 801 square feet (74 square meters) and ideal for a small family. 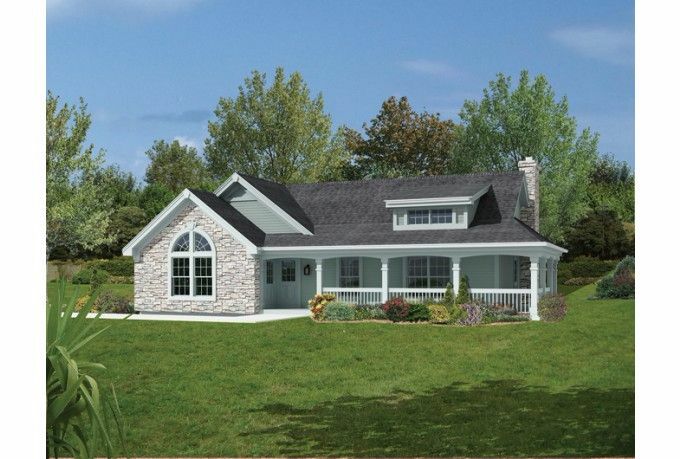 The covered front porch is a great place to hang out together and enters the property into the open-plan living, dining, and kitchen area so you can keep an eye on the kids wherever they are. 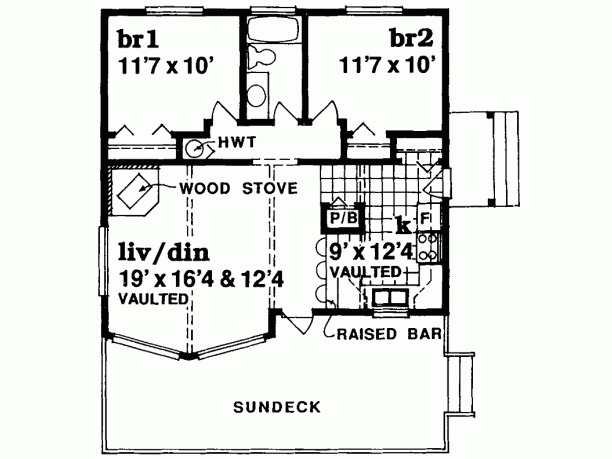 Two double bedrooms have built-in storage and share a full bathroom. There is also a vaulted workshop area, wonderful as a private study or kids playroom, and a two-car garage for extra storage. 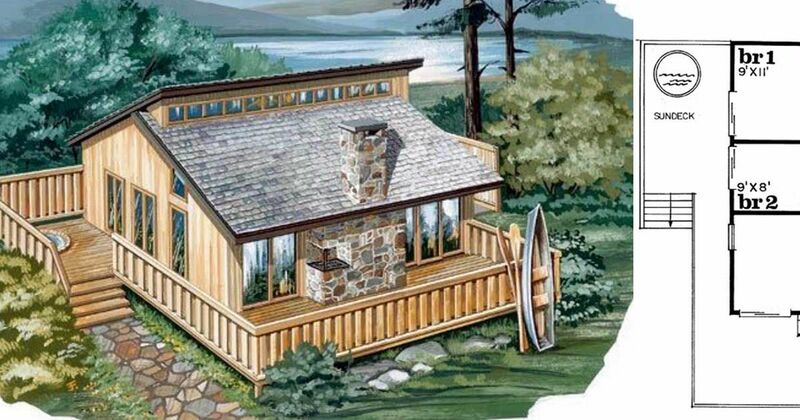 A gorgeously compact property from Homeplans, coming in at 796 square feet (74 square meters). Downstairs hosts a two-car garage, great for extra storage and a large laundry room which could additionally serve as a mudroom. 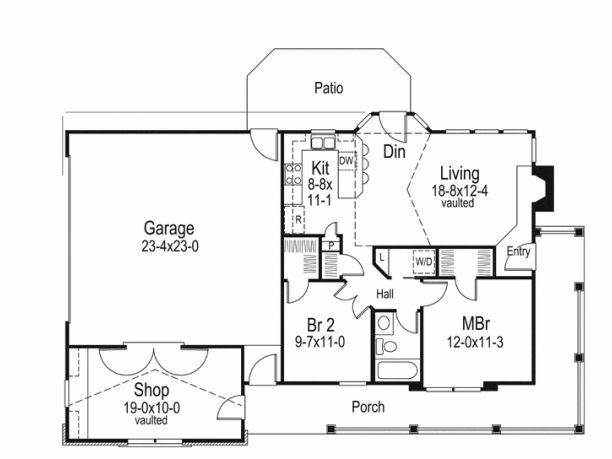 Upstairs, enter from the front deck to the open-plan living, dining, and kitchen space. The two double bedrooms sit either side of a bathroom, and both have ample storage thanks to built-in closets. 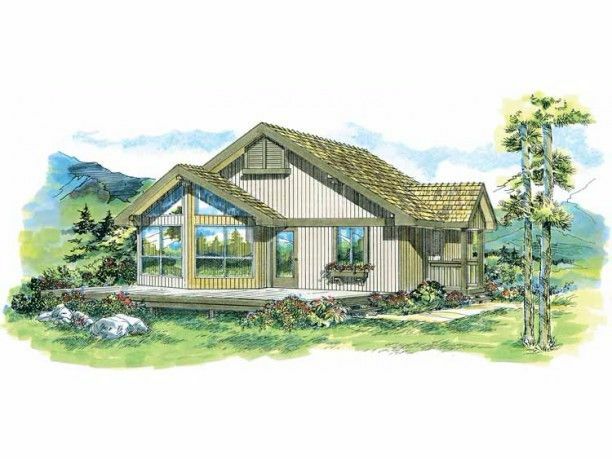 This two-level house from Family Home Plans measures 936 square feet (87 square meters). With a large wraparound sundeck the family can enjoy in good weather and a single carport space. Inside, a hallway leads to a bright open-plan living, dining, and kitchen area with a vaulted ceiling and fireplace looking out over the deck. 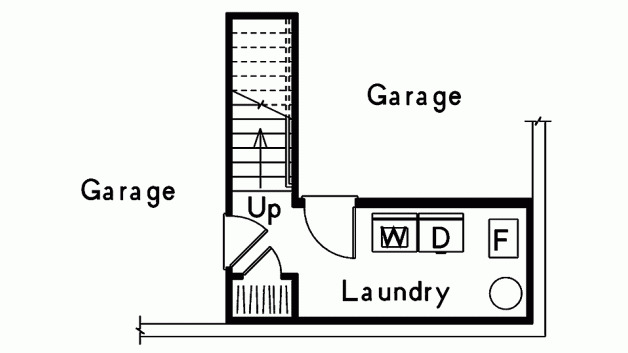 The kitchen covers access to a large utility closet. 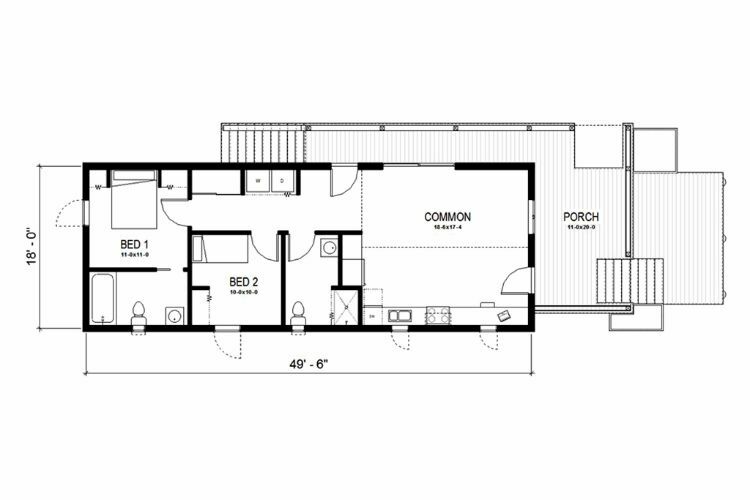 The two double bedrooms with built-in closets share a full-size bathroom. 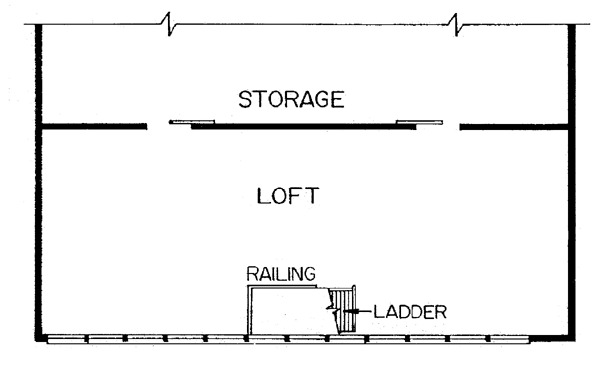 A ladder-access loft provides extra storage for all the accoutremonts of childhood. A well-thought out interior in this property from Architectural Designs comes in at 440 square feet (41 square meters). 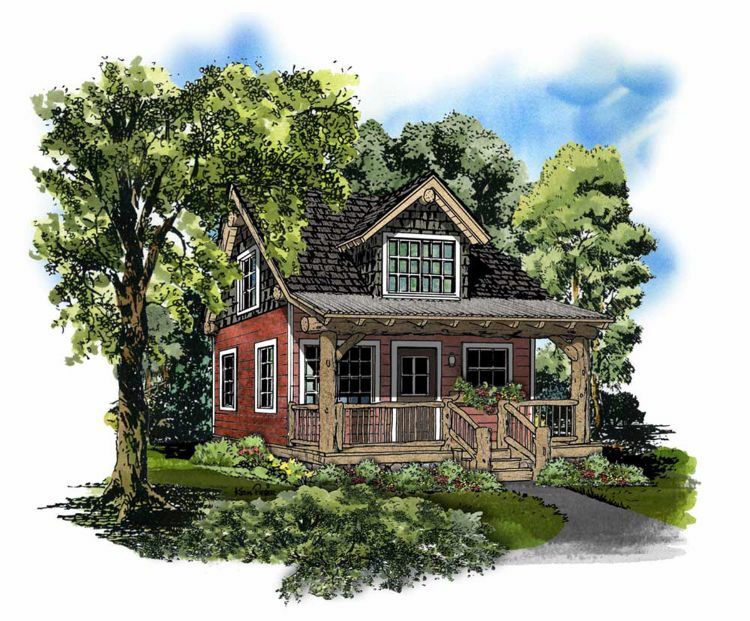 An exterior porch entrance into the vaulted open-plan living, kitchen, and dining space leads to a laundry room and bathroom, as well as the first double bedroom. 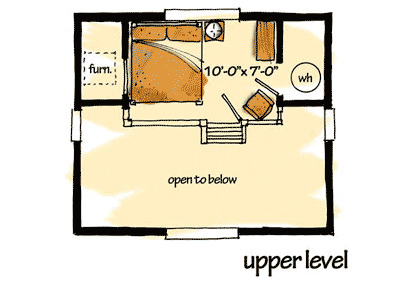 Upstairs, the second bedroom with walk-in wardrobe is an ideal retreat for a parent. 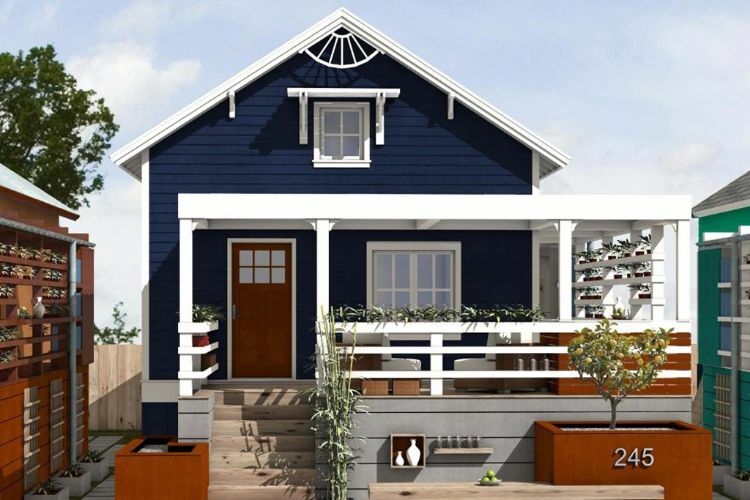 A simple and concise layout from this Houseplans design suits a small single-parent family, measuring in at 891 square feet (83 square meters). 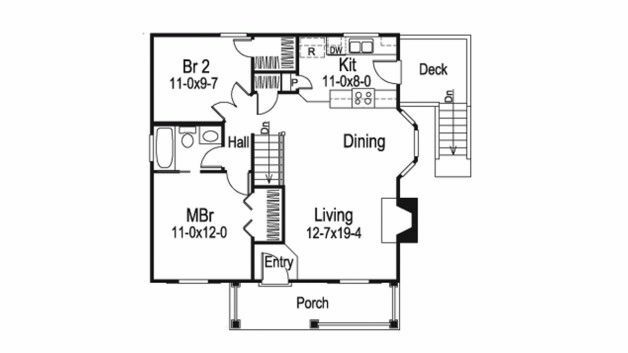 Enter from the large porchway, into an open-plan dining, kitchen, and living area. A wide hallway delivers you to the laundry cupboard, extra storage space, the shared bathroom and first double bedroom, or the master bedroom with ensuite. 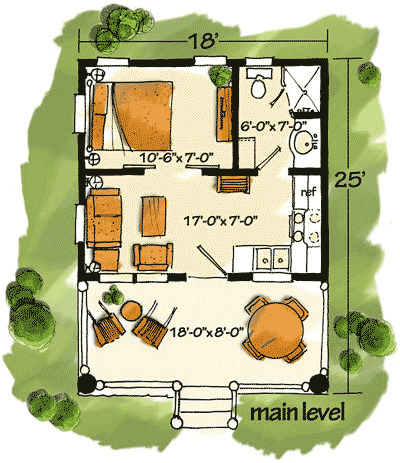 A lovely contemporary build from Dream Home Source, measuring in at 825 sqyare feet (77 square meters). The open sundeck is a glorious space to hangout with family at the weekend. 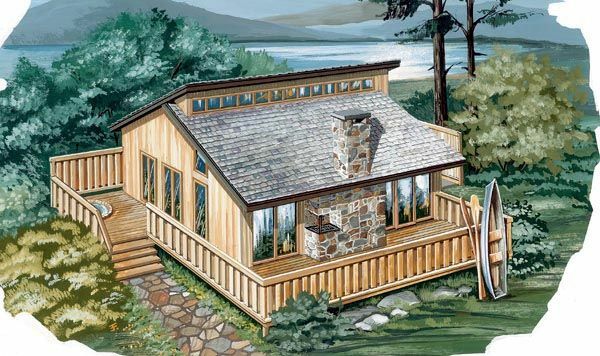 Inside, an open-plan living, dining, and kitchen space keeps things airy, with a cozy wood stove for colder evenings. 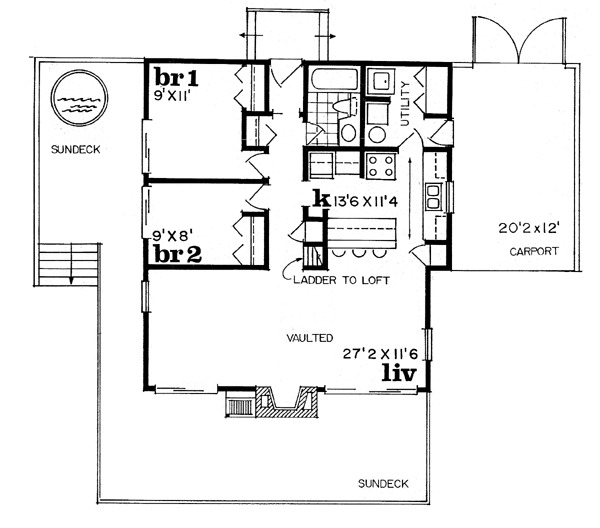 The two double bedrooms are at the rear of the property and share a full-size bathroom between them. L-shaped kitchens are becoming more and more popular these days, which is no surprise! Thanks to their ability to easily accommodate multiple cooks, L-shaped kitchens are ideal for any household that contains more than one member.